I-75 Express Design-Build I-75 Express extends 18 miles from I-595 in Broward County to SR 826 in Miami-Dade County. The Project features a new 4-lane tolled managed lanes facility in the I-75 median. The project is supported by an Integrated ITS/Tolling system, including tolling gantries, shelters, pricing DMS, status DMS, CCTV, MVDS, automatic lane control gates along the Express lanes and the Reversible Lanes at the I-595 connection. Eland serves as the corridor ITS general consultant for all 5 project segments and corridor wide ITS/Toll system integration. I-95 Express Phase II & III FDOT has entered in an Urban Partnership Agreement to implement a Value Pricing Toll system or Managed Lanes System on I-95 in Broward and Miami-Dade Counties. The ITS elements include closed circuit television (CCTV) cameras, Ramp Signal Systems (RSS), dynamic message signs (DMS), vehicle detection stations (VDS), power distribution and backup system, a fiber optic based Ethernet communication system and an Electric Tolling Collection (ETC) system. Eland was responsible for the development of the ITS RFP requirements and has provided design support services.﻿ throughout the various project phases. SR 826 Express Lanes East West The Palmetto Expressway is one of the most traveled transportation corridors in Miami-Dade County. 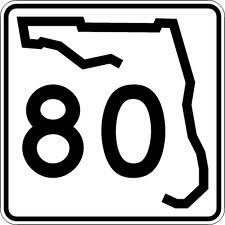 ﻿This project consists of the implementation of tolled express lanes along the SR 826 from I-75 to Golden Glades Interchange. Eland was recently selected to perform the design of the ITS and toll support infrastructures for two segments of the project corridor. I-595 Public Private Partnership I-595 Express is Florida's first public private partnership project. The $1.8 billion corridor improvements project consists of the reconstruction of the I-595 mainline and improvements to adjacent crossroads, frontage roads and ramps. Highlights include a comprehensive ITS systems fully integrated and centralized to manage, control and operate the reversible express lanes, general purpose lanes and frontage roads. Eland was responsible for the development of the ITS system master plan, ITS technical requirements package, engineer cost estimate and post design support services for design- build, integration, testing and training of ITS components. I-95 Ramp Metering Feasibility Study, Broward & Palm Beach Counties Eland was responsible for the evaluation and recommendation of the detection technology, CCTV analysis, signal controller and cabinet, software and algorithm, and communication infrastructure and equipment for the ramp metering applications. 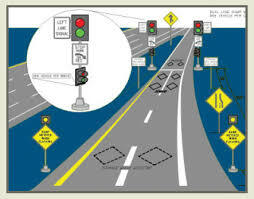 Eland also developed the conceptual design plans for each selected ramp metering location along the corridor. FDOT D4 ITS General Consultant As the ITS General Engineering Consultant for FDOT D4, Eland continues to support the District ITS program‘s vision and mission in all aspects of planning, design, system integration, construction, operations, and maintenance. Eland has developed over 30 ITS RFP packages, with total construction value of $180 million in ITS Infrastructures, to support the extensive roll-out of ITS deployments along the freeways of Broward, Palm Beach, Martin, St Lucie, and Indian River County. Today, the FDOT D4 ITS network extends over 250 miles of fiber optic linked together by 500+ ITS network switches to obtain real time video and traffic volume/speed data. Significant amounts of new ITS devices and infrastructures along with substantial system upgrades are being implemented or planned to support the inclusion of managed lanes into the District Four network along I-95, I-595 and I-75 in the next 5 years and beyond. 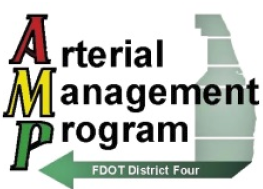 ﻿FD OT D4 Traffic Signal Re-timing Continuing Services FDOT D4's TSM&O program is focusing on active arterial management through the operational support of the Advanced Traffic Management System (ATMS) platforms via partnerships with the local maintaining agencies. As the prime consultant, Eland is supporting D4 with our expertise in active arterial management, signal control and timing, arterial monitoring and maintenance, to travel demand management and RTMC operations. We are currently supporting D4 in coordination with local agencies to apply central ATMS commands or traffic responsive operation to dynamically implement timing plans in response to the recurring and non-recurring traffic congestion along the major arterials. FDOT CO Statewide TSM&O Program Consultant FDOT Central Office is actively implementing a TSM&O program to optimize infrastructure investment and provide performance based multi-modal solutions to maximize safety, reliability, efficiency and effectiveness. As a sub-consultant, Eland is providing various ITS services including on site engineering support for this statewide program. Adaptive Traffic Control System (ATCS) & Arterial Traffic Management Systems Eland is providing the engineering and design services for ATCS and ITS design along several major arterial corridors in Broward and Palm Beach Counties. 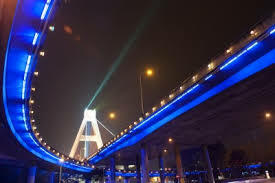 The systems include advanced traffic controllers, BlueTooth Travel Time Systems, Transit Signal Priority Systems, CCTV cameras, MVDS, DMS, Fiber Optic Communication Systems, Electrical Power Systems and signal central control software. I-75 Alligator Alley Automatic Speed Warning & Roadway Weather Information Systems Eland developed the Concept of Operations and provided CEI services to the automatic speed warning and roadway weather information system to improve safety along I-75 Alligator Alley. 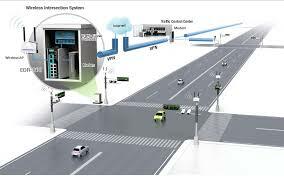 The system comprises of speed detection units to collect vehicle speed data over a zone approaching each project site; DMS software that will automatically interact with and respond to Speed Alert subsystems; and Roadway Weather Information System (RWIS) to collect precipitation, wind, relative humidity, visibility, and pavement surface moisture data. SR 80 Fog Detection System SR 80 is a rural principal arterial that is surrounded by sugar cane farms. Fog and smoke generated by the burning sugar canes can reduce visibility to a few feet for the local traffic. Reduced visibility along SR 80 caused by fog /smoke conditions has resulted in severe traffic accidents involving many vehicles and injuries. Eland served as the Engineer of Record for the design of the automatic Fog Detection and Warning System to identify conditions of low visibility and notify approaching drivers of the situation before encountering it.